At my book club the other night the host had made an amazing meal for all of us. Lasagna, salad, garlic bread, shrimpcargot and chocolate cupcakes...I had a very unexpected cheat day! It was all amazing but my favorite was the shrimpcargot. I thought it was such a cute idea. I changed up the original recipe a little to make it more healthy for me; however, if I were to make this for my husband I would follow the original recipe (follow the allrecipes link if interested). NOTE: The original recipe is amazing! So click the allrecipes.com link above if you want the original and don't mind butter and cheese. In my case I was planning on eating all the mushrooms myself so I cut out the cheese and butter. Clean your mushrooms and take the stems out. Heat the oil and garlic in a skillet over medium heat. Once hot, stir in the shrimp and cook until they just turn pink, turning once, about 1-2 minutes per side. Place one shrimp into each mushroom cap, and place into a small muffin pan or baking dish. Spoon the garlic oil into the mushroom caps. Bake in the preheated oven until the mushrooms are tender, about 10 to 15 minutes. Add a little salt before serving if you are not using cheese. 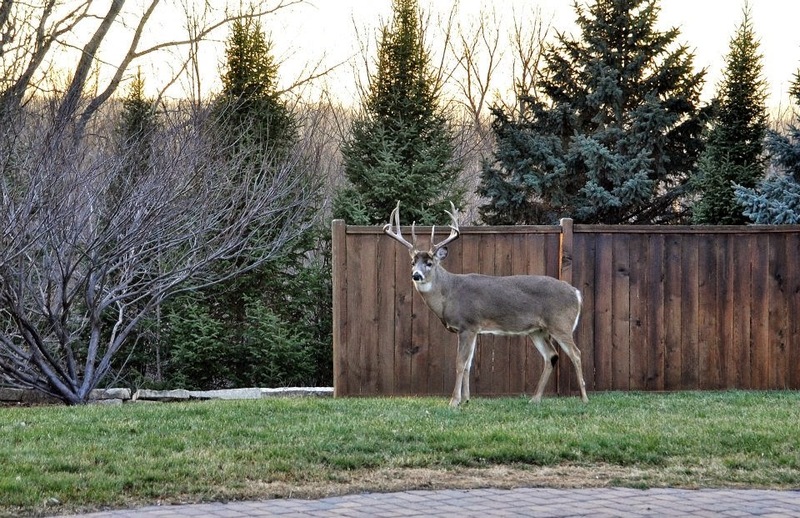 This buck was in may backyard in August...you can see all the velvet on his antlers. This is him in December...his antlers are done growing and all dried up for the season. 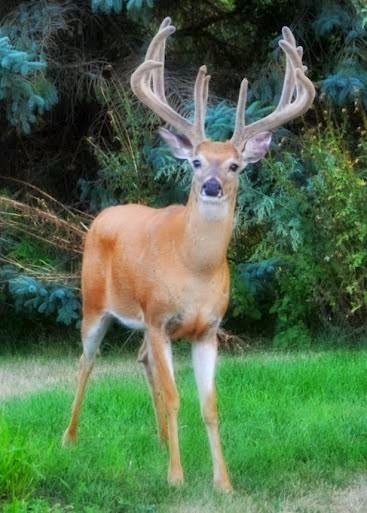 Thanks for sharing the picture of the buck- have never seen the velvet before on them. That's such a cool idea. The mushrooms make the perfect base. Thanks for the pics of the buck as well. They like visiting you.